Hey Mike, I have nothing but respect for you. Your no-nonsense outlook and incredible eloquence have really had a profound impact in my life. Can you please encourage your huge following to go out and vote this election? I would never impose on you by asking you to advocate one politician over another, but I do feel this election could really use your help. I know that there are many people out there who feel like there is nothing they can do. Please try to use your gifts to make them see that they can do something – that their vote counts. Casting a ballot is not so different. It’s an important right that we all share, and one that impacts our society in dramatic fashion. But it’s one thing to respect and acknowledge our collective rights, and quite another thing to affirmatively encourage people I’ve never met to exercise them. And yet, my friends in Hollywood do that very thing, and they’re at it again. Regardless of their political agenda, my celebrity pals are fundamentally mistaken about our “civic duty” to vote. There is simply no such thing. Voting is a right, not a duty, and not a moral obligation. Like all rights, the right to vote comes with some responsibilities, but lets face it – the bar is not set very high. If you believe aliens from another planet walk among us, you are welcome at the polls. If you believe the world is flat, and the moon landing was completely staged, you are invited to cast a ballot. Astrologists, racists, ghost-hunters, sexists, and people who rely upon a Magic 8 Ball to determine their daily wardrobe are all allowed to participate. In fact, and to your point, they’re encouraged. So no, Jeremy – I can’t personally encourage everyone in the country to run out and vote. I wouldn’t do it, even if I thought it would benefit my personal choice. Because the truth is, the country doesn’t need voters who have to be cajoled, enticed, or persuaded to cast a ballot. We need voters who wish to participate in the process. So if you really want me to say something political, how about this – read more. Or, don’t. None of the freedoms spelled out in our Constitution were put there so people could cast uninformed ballots out of some misplaced sense of civic duty brought on by a celebrity guilt-trip. The right to assemble, to protest, to speak freely – these rights were included to help assure that the best ideas and the best candidates would emerge from the most transparent process possible. Remember – there’s nothing virtuous or patriotic about voting just for the sake of voting, and the next time someone tells you otherwise, do me a favor – ask them who they’re voting for. Then tell them you’re voting for their opponent. Then, see if they’ll give you a ride to the polls. In the meantime, dig into “Economics in One Lesson,” by Henry Hazlitt. It sounds like a snooze but it really is a page turner, and you can download it for free. Mike Rowe is a television host, narrator and actor best known for the show “Dirty Jobs.” This piece is reprinted from his Facebook page. to put in my 2 cents regarding Hollywood/actors. I find it quixotic & disingenuous (even offensive if I can join that crowd) that people who have managed to capture & spend an entire career regurgitating the ideas of others want to tell me what to think or do. Now, I get your concern about uninformed voters heading out on the say-so of our fave Hollywood stars. I’m concerned about that too. But, there would be advantages to increased voter turnout that would be important to our democracy. If voting increased, so could the viability of alternate political parties. Voting levels also corellate to levels of other civic activity. I think the decision to become informed about the electoral choices follows the decision to vote, not the other way around. It’s like: “I don’t like X, so I’d better try to do something about that! I’m gonna vote!” And shortly after that comes the realization that there’s more involved than just X that got the person going in the first place. You’re letting people off the hook, by reducing the importance of their vote. Imagine what it’d be like if all the people who think it’s not important showed up! Think of how much more responsive our politicians would have to be. So yeah, get up on the issues. Work that brain muscle because America needs your vote. It is not your right to take your vote. Your civic duty compels you to act whether you like it or not, and that ought to count for a lot, so make it count. if you ignore that, then you’re failing your country and are just lucky they don’t have the same consequences for failing to vote as they do to failing to show up when you’re drafted, or if you skip out on jury duty. Actually Pieter, since we are being technical here, “Most of our Rights” do not reside in the Bill of Rights, as they only contain the first 10 amendments to the constitution, but there are 27 amendments. 10/27 wouldn’t equate to “most”, and some very important liberties came well down the line after the first 10. Second, voting to jury duty is a faulty comparison. You are not compelled to vote by any government (local, state, or federal). There is no penalty for not voting (albeit there is an argument to be made on an abstract level, there is no concrete action taken). Conversely, most states impose large fines, and if you really hold something up the judge could even find you in contempt of court (albeit extremely rare). I won’t address the absurdity of comparing it to paying taxes, as I think that’s easy enough for anyone to see. Saints preserve us if voting ever becomes a mandatory responsibility. Of the countries in the world where voting is compulsory, elections are typically a complete sham. 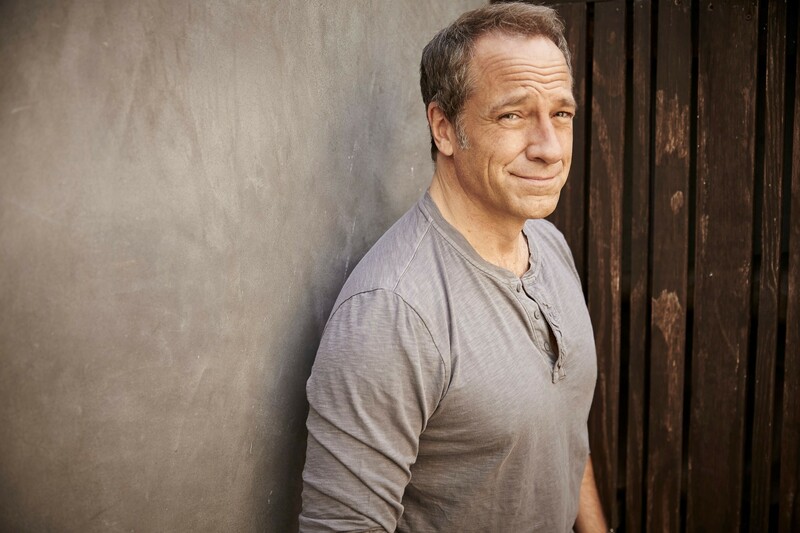 Mike Rowe is spot-on in his argument. A vote cast in ignorance is far worse than a vote withheld. The best advice any American could give to any other American (or anybody to anybody, for that matter) to help them learn the foundation of American-ism. Absolutely agree that this is as good a place to start as any place could be. Mike, I would add Civics to the topics people should learn about. Learn our laws, how they work, and how they are applied. Not just how they are made. Learn the outcome of previous legislation and how it guides current and future actions. Become familiar with our diplomatic relationships and how policy guides activities such as spending, trading, and military actions. As usual, an excellent, common sense article Mike. One suggestion to all, after reading “Economics in One Easy Lesson”, dive into “The Law” by Frederick Bastiat. You’re view on the role of government will never be the same! Right. On. Target! Written in easily “digestible” chapters only a page or three long each, and filled with simple, easy-to-understand examples and principles, “The Law” quickly teaches the reader how to recognize whether any given government law or program protects your liberty or reduces your liberty. The rights to assemble, protest, speak freely, those are inherent and inalienable rights, rights being necessarily fundamental and not utilitarian. Mr. Rowe did not make this clear. How would that have changed his argument? It’s a good read and I love Mike but I couldn’t disagree with him more . I believe voting is much more than a right . I believe that voting is absolutely a moral obligation that comes with being a citizen . Want to turn in a blank ballot ? Fine. That’s your right. But citizenship isn’t cheap. It takes a little work. It demands some effort . Should vote smacks of elitism. Voting is a dirty job and everybody’s got to do it . And we, as American citizens, owe it to the veterans, who served this country, and, not only, gave us the right to vote (our founding fathers), they sometimes preserved that right by fighting and dying against our enemies, both foreign and domestic! 1. Turning in a blank ballot is as good as not showing up to the polls in the first place. I don’t see how advocating this is fundamentally different from what you’re disagreeing with Mike over. 2. Is it elitist to suggest that you shouldn’t partake in something you don’t fully understand? Would you advocate someone buying a gun if they don’t understand the fundamentals of responsible gun ownership? Or owning a pet if they haven’t a clue about how to care for one? Or starting a business if they know nothing about running one? Something tells me you wouldn’t regard cautioning someone against doing any of the above if they’re clearly uninformed about them as “elitism”, so why is it a different story when it comes to voting? If you don’t know much about the candidates, their platforms and their proposed policies beyond a few sound bites that hardly tell the whole story, then I’m sorry but you shouldn’t be voting. This is hardly an elitist suggestion. Educating yourself on politics isn’t an endeavor that’s out of reach for the majority of people. You have essentially all the information there could possibly be freely available on the Internet, and even if you can’t afford to pay for internet access you can go to your local public library and make use of their computers for free. Remaining ignorant nowadays is a choice, not a consequence of lacking a privileged background so please let’s cut the crap about how insisting on educated, well-informed voters is elitist. It’s not. Knowledge has become democratized in the digital age. Nobody in this country is locked out from informing themselves. Let’s not encourage people who choose to remain in the dark to participate in the political process and steer the country on a dangerous path by voting for people who are only as smart as they are. Well said. A vote cast in ignorance is worse and more dangerous than abstaining from same. And very likely *against* one’s best interests. I believe that everyone that votes should no the candidates and what their platforms are. So many just get their political information from commercials or comedy shows. I agree with his reading selection but would add that everyone have a pocket Constitution and have read it. I’m always shocked when people like Dice and Waters ask people on the streets questions about history or our political leaders and they have no idea what or who is the answer. But ask them what show Snooki was on or name the Reality stars they can answer that without thinking. Are these the people you want voting for the people you make our laws. Elections are not a popularity contest. That is why we now have Trump and Clinton as the worst candidates for President. As I’ve heard many times in my life “We are going to Hell in a hand basket” and it scares me to death. For someone who disagrees, you sure seem to be agreeing. Did you stop reading at some point? From my interpretation of what he wrote, he said don’t vote to just vote, but educate yourself before you vote. Mike makes a very good point. However I would take exception. Those people who Mikes speaks of, the flat earthers etc etc, they in fact are much more likely to vote, consistently. While those who are educated, who know the issues and the people involved, those we desperately need in the polls but who have become jaded and apathetic, won’t. These are the people the message is for. You can’t stop ignorance. It flows like a flood over everything. But we can encourage those who know better to be even just a little bit involved in the process. Statistics have shown time and again, that the greater the voter turnout, the more it leans left. Conversely, a lower turnout always leans to the right. Personally, I don’t care if you can’t even tie your own shoes, if you are legally able to vote, I want you to do so. I very much respect Mike, but this time I am afraid he is simply wrong. “We need voters who wish to participate in the process”. Yes, as Bernie Sanders had. However, even after jumping thru all of the hoops to try and negate the handicap made by the closed primaries rule, a great many of their registrations vanished, a great many of them received useless provisional ballots that were not going to be counted. Because the ones that actually determine who gets in made sure the people would not have the determining choice. (On the [D] side anyway. On the [R] side, it was the people that actually messed up there. Picking the only candidate that couldn’t beat Clinton). That’s where the real problem is. So we end up with the two candidates that more than half of the people rightfully can’t stand and don’t trust. “Ignorant people stay home, let the folks who reeeeeally know what’s important vote for president.” That doesn’t work, as, especially on the [R] side, voting is one of the only things ignorant people take seriousely. Unfortunately, they are experts at voting against their own best interests. “Voters can’t be trusted to have enough information about the candidates” — TBH sounds like he’s advocating for the creation of the Electoral College system, which already exists. Great job being informed, TV man! He also says that voting is “not a moral obligation” then turns around and says “vote in line with candidates whose philosophies have the most in common with your own” — oh, you mean like a moral choice? Go back to crawling around in sewers, you gross hack.